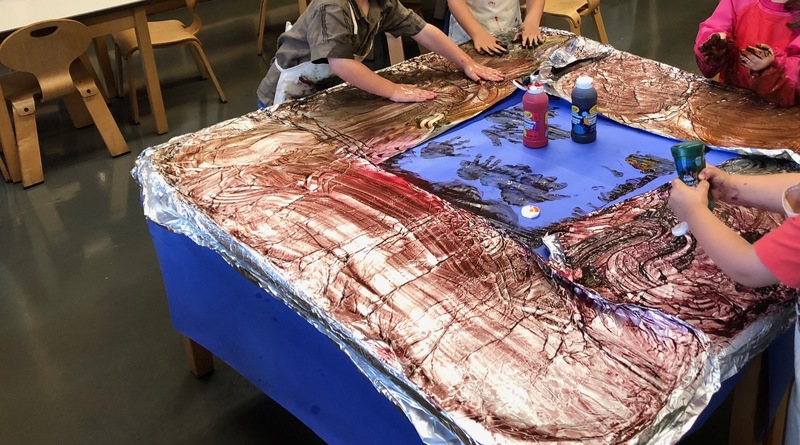 kinders transform with hands, finger paint, foil, and joy. “the goal of life is rapture. art is the way we experience it.